Tuxedo Clad D.J's: It's all a part of being Professional. Unless your event requires different attire, we think the tuxedo makes for a class act. 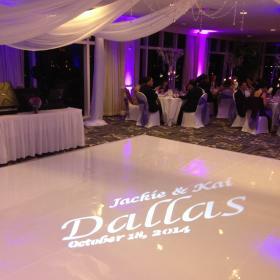 We offer room Décor with up-lighting and Wedding Monograms to give your reception the "Wow" factor! 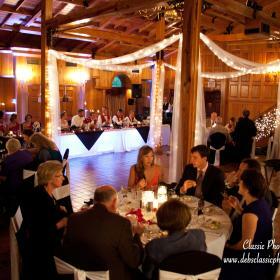 When your guests arrive, we can play a nice blend of jazz, oldies, light soul, or other music you suggest. At this time they are conversing with friends and family. We will keep the music low-key and our volumes unobtrusive. 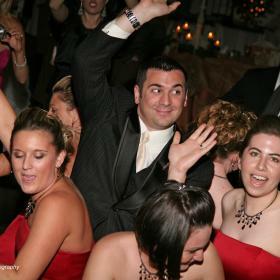 Having fun is an important part of any event. 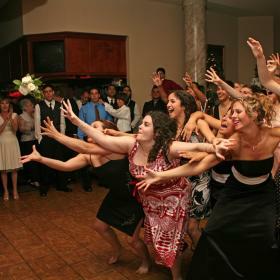 We can include group participation dances such as the Cupid Shuffle, Twist, Electric Slide and others. You can choose the music you want, and don't want. 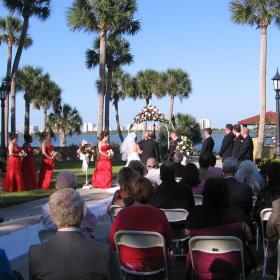 We can provide music for your outdoor ceremony, at select venues. 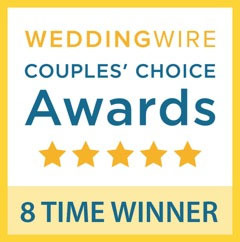 We have traditional wedding music and other specialty songs. 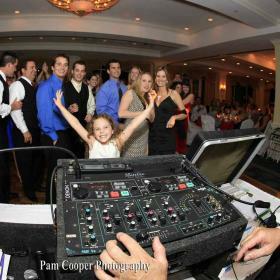 We customize the music to fit your wedding. Professionalism from a Full Time Entertainment service. After the Wedding, over 70% of brides polled, said they wish they would have budgeted more, and spent more time choosing their entertainment. You should not choose on price alone. Choose on the Value of the Entertainment!